Thank you for visiting our website. 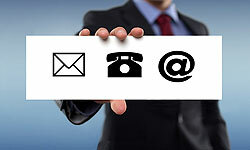 If you have any questions regarding our products and services, or if you would like to give us feedback about the information included in this website, please contact us by post, telephone, e-mail or, if you prefer, you can fill in the enquiry form below to request a quote and send it to us; we'll get back to you as soon as possible. We look forward to hearing from you. Matrix Electrical Engineering Ltd take your privacy seriously and will only use your personal information that you send to us to process your enquiry and to provide the products and services you request of us. We never sell your data and we promise to keep your details safe and secure. Success! Your message has now been sent. By submitting this enquiry form you are giving us permission to contact you. Your personal details will not be distributed or sold.